La Gloria Cubana Serie R | Chicago's Pipe, Cigar & Tobacco Store | Iwan Ries & Co. 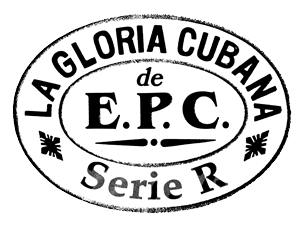 Renowned for its beefy ring gauges and full-flavored taste profile, La Gloria Cubana Serie R is one of the El Credito Cigar Factory’s hottest-selling offerings. Serie R boasts an amazing spiciness and powerful, refined flavor which comes from a proprietary blend of Dominican and Nicaraguan tobaccos. When balanced with a Nicaraguan binder and a wonderfully aged Ecuadoran wrapper (Connecticut Broadleaf wraps the Maduro cigars), La Gloria Cubana Serie R’s exquisite taste captures a place in the smoking repertoires of today’s tenured smokers who demand the ultimate in flavor. In 1999, La Gloria Cubana’s makers decided they wanted to bring something special to their many La Gloria Cubana customers. They introduced the full-bodied, fuller ring gauge, Serie R Nos. 4, 5 and 6 and No. 7 which is widely regarded as the brand’s masterpiece. Packed in dark mahogany, cabinet-style boxes replete with gold inlay logos and lettering, Serie R cigars deliver their extra-bold bouquet as soon as the box is opened. Their full-bodied flavor comes from a special blend of long Dominican and Nicaraguan filler, superb Nicaraguan binder and a wonderfully aged and extra flavorful Ecuadoran wrapper. The result is a rich, full-flavored smoke unmatched by any other cigar. Designed for seasoned cigar lovers looking for the ultimate in bold flavor, Serie R cigars come in several full-bodied sizes, each one guaranteed to please even the most discerning seeker of rich, robust cigars.